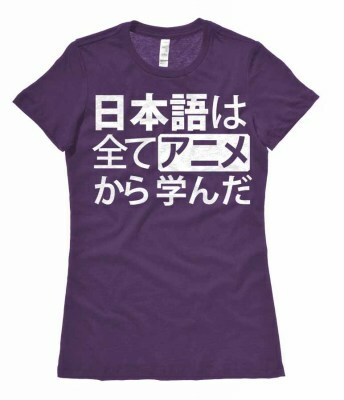 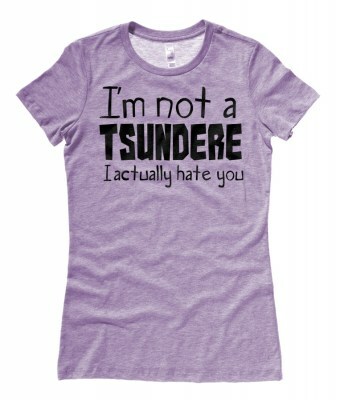 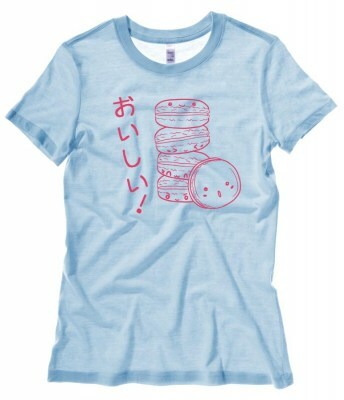 Dive into Japanese number slang, and when you know what this shirt means, you're one of the cool kids. 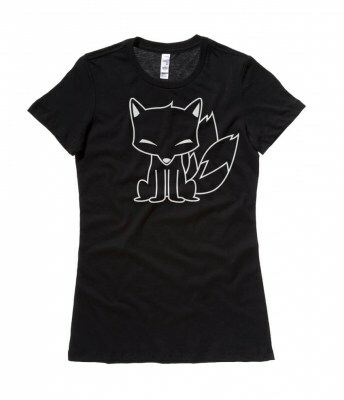 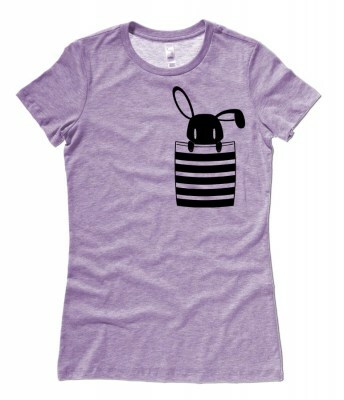 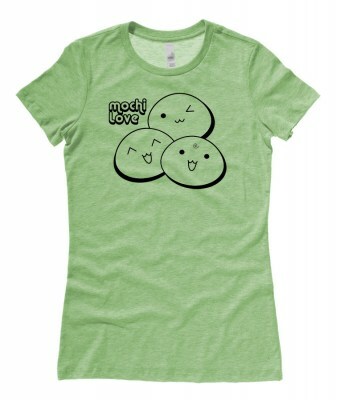 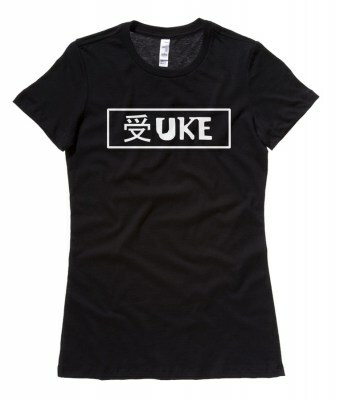 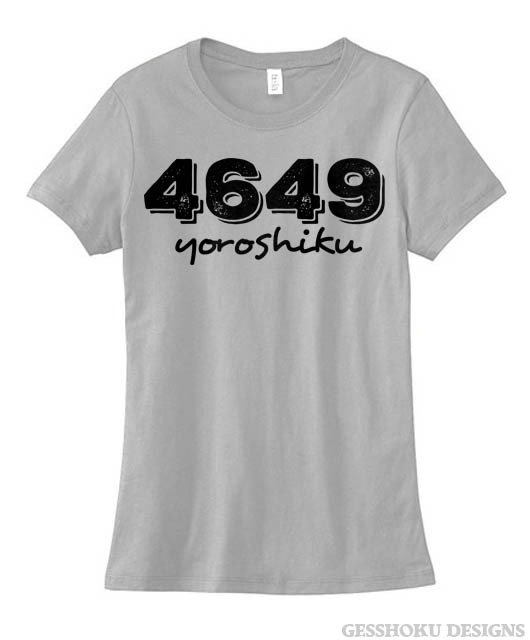 This ladies fitted shirt lets you show your Japanese street cred. 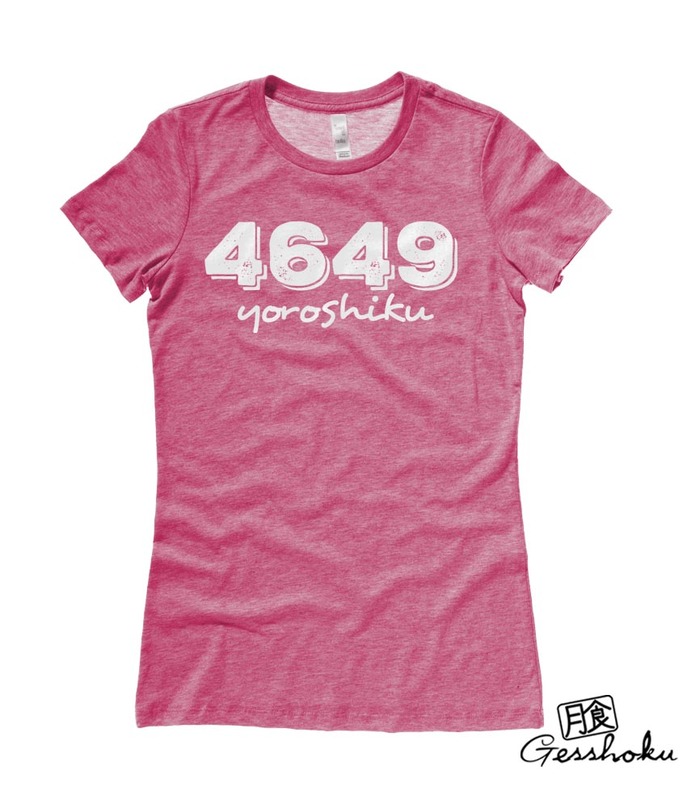 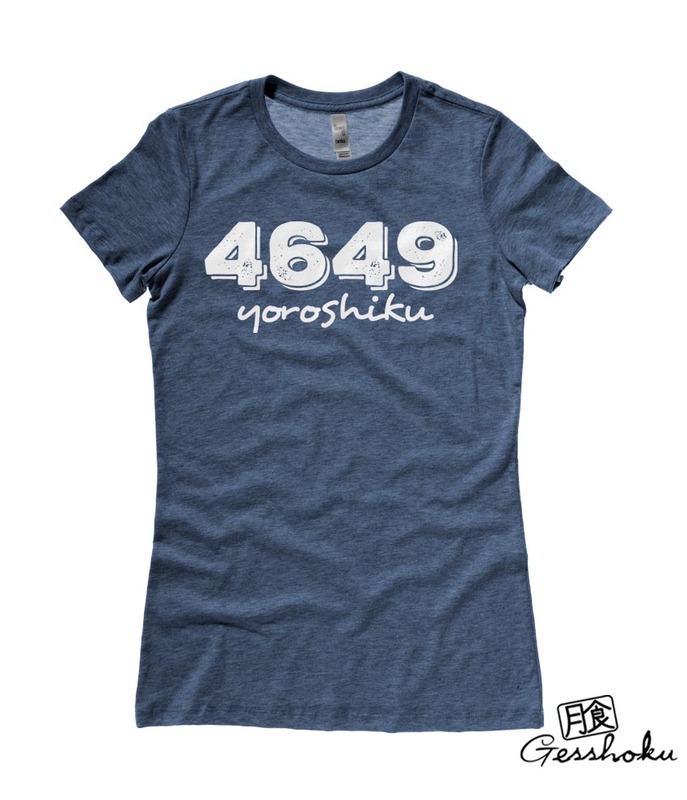 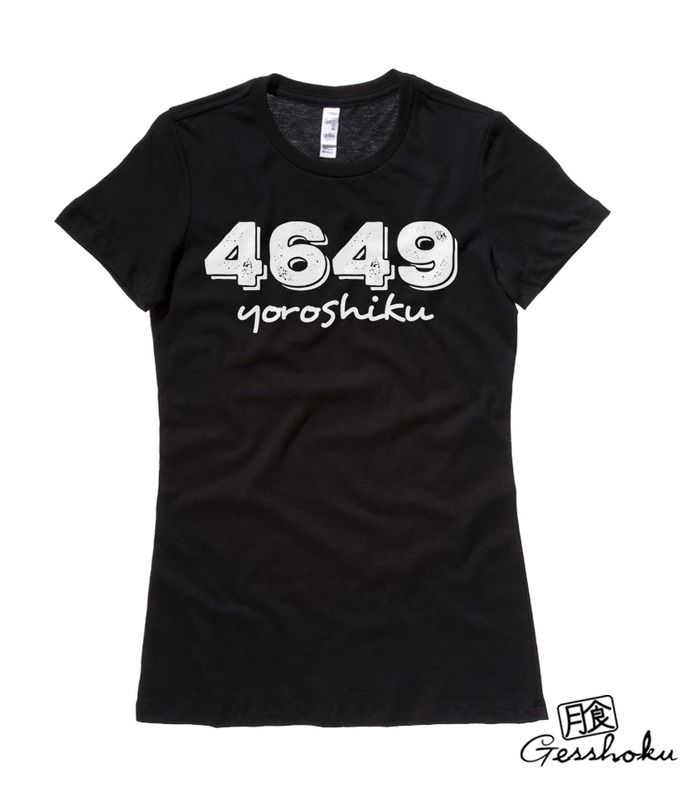 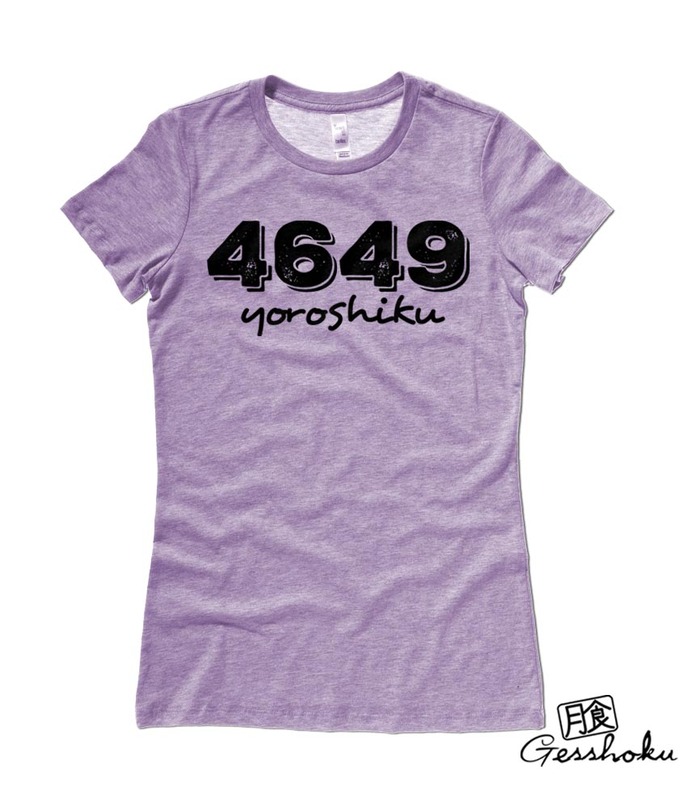 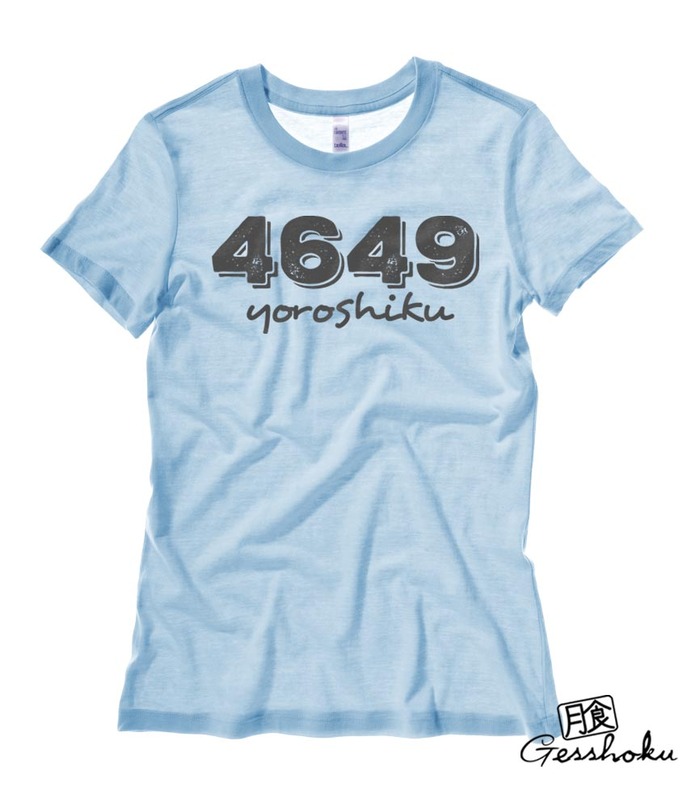 Hint: The pronunciation for 4649 can sound like 'yoroshiku', meaning 'nice to meet you' or 'regards / please'.